You’re dope. Period Pain isn’t. Welcome to the OHNE family, Anti-Teardrops 1% CBD Oil. And now we’re taking this one step further. We don’t think anyone should be suffering unnecessarily because of their period. Yep, we’re talking about cramps. And muscle aches, tension, and even period-induced anxiety (mother nature’s got a sense of humour sometimes, doesn’t she?). 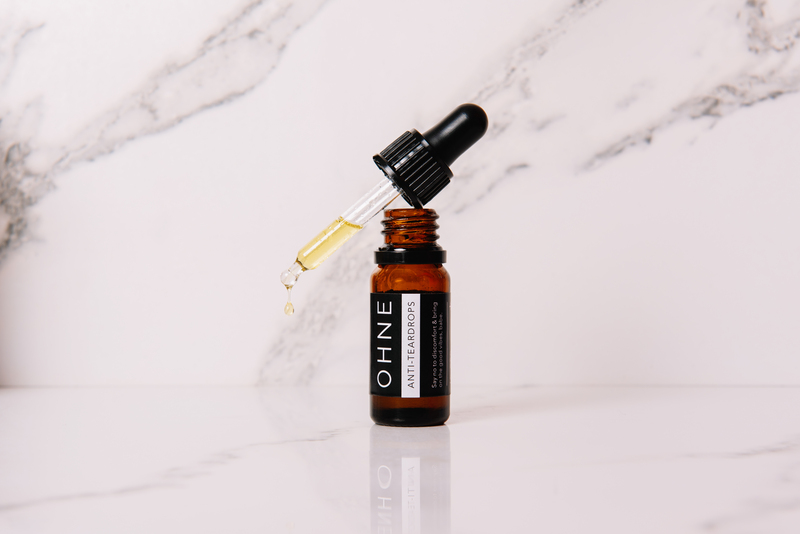 In collaboration with Graces London, who have been creating CBD oils for the last six years, OHNE are launching our very own CBD oil, designed specifically with your period in mind. Cruelty free, vegan, and gluten free; it’s the pro-period, anti-tears product you’ve been waiting for to help you fight your period pain. Our CBD oil is made with 100mg full-spectrum CBD (no cheap CBD isolates here), hemp extract and essential oils, which not only have a bunch of healing properties in their own right, but actually work to stimulate the CBD oil and aid pain relief. So what are they, and what do they do? 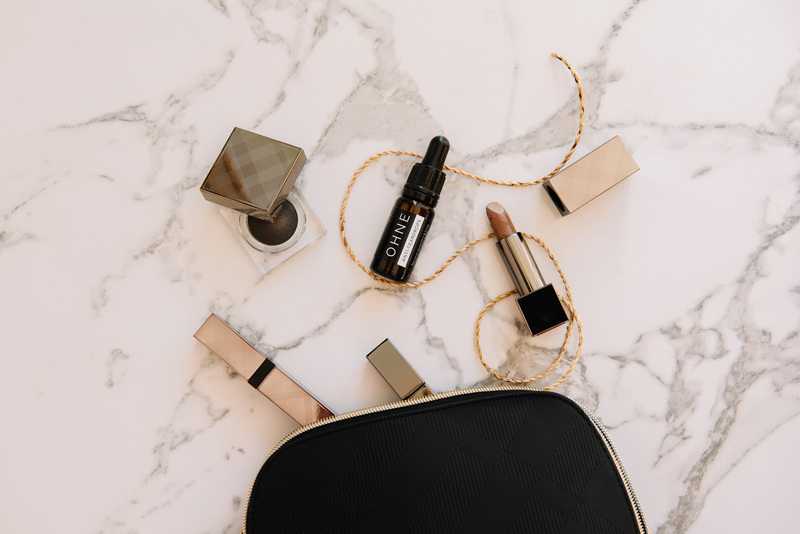 Well, hemp seed oil is a natural superfood for the skin, argan oil and evening primrose oil work to keep your skin healthy and hydrated, with evening primrose also helping to regulate and balance your hormones. Lavender oil can help with every kind of pain from muscular aches to emotional anxieties, lemon oil has got your back for improved circulation, mental health, and immune system, and lemongrass oil is antiseptic, antifungal, antibacterial, and super hydrating. CBD works by interacting with the natural endocannabinoid system in the human body. The endocannabinoid system supports pretty much every important function in our bodies, from pain and mood to things like appetite and sleep. CBD evokes cannabinoid receptors found in various systems of the human body (such as the gut, skin cells, reproductive organs, and the brain) to help promote natural balance and skin healing. CBD has a relaxant and analgesic effect, which, simply put, means if you’re experiencing pain, CBD actively relaxes the muscles and helps them not contract so violently. Three people, three ways to use Anti-Teardrops 1% CBD oil. Nikki (OHNE co-founder) swears by rubbing it onto her stomach over her uterus and lower back – right where she feels her cramps. Leah (the other co-founder) takes a less conventional route and drops 2-3 drops onto the end of her tampon just before using it. This gets the CBD oil as close as possible (y’know, save for some horror-movie-worthy invasive surgery) to the source of the cramps – the aggressively-contracting uterus muscles. 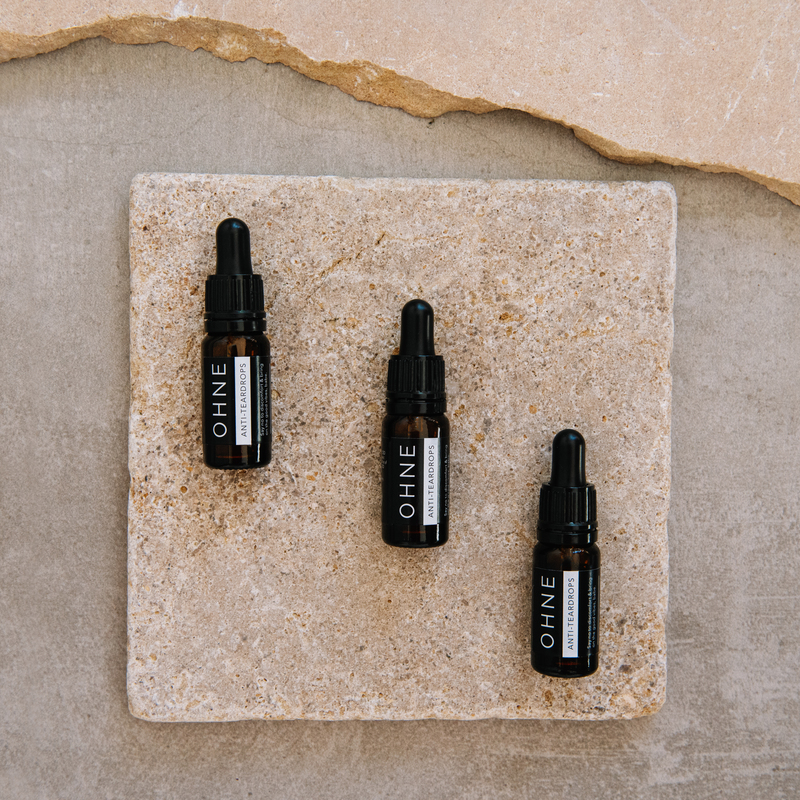 Please note: We are not telling you to follow suit and do so as our pro period oil has been created as a CBD skin oil. Leah just likes to get as up close n personal as possible with all her period products. Shiona of Graces (our CBD partner) takes a less direct approach, adding a few drops to a warm bubble bath (bonus points for adding candles, a glass of wine, and a great book). The essential oils make for a great aromatherapy sesh, relaxing everything from her tense muscles to her mood. Ultimate period chill. You may have noticed our cheeky hints as to the wonders (in our humble opinion) of CBD oil in previous articles, with it being one of our top wellness not-trends (we’re all for long-term change over fads, babe) to actually pay attention to this year, as well as one of the all-natural alternatives to pain medication we reckon are actually better than your standard over-the-counter, blister-packed pills affair. 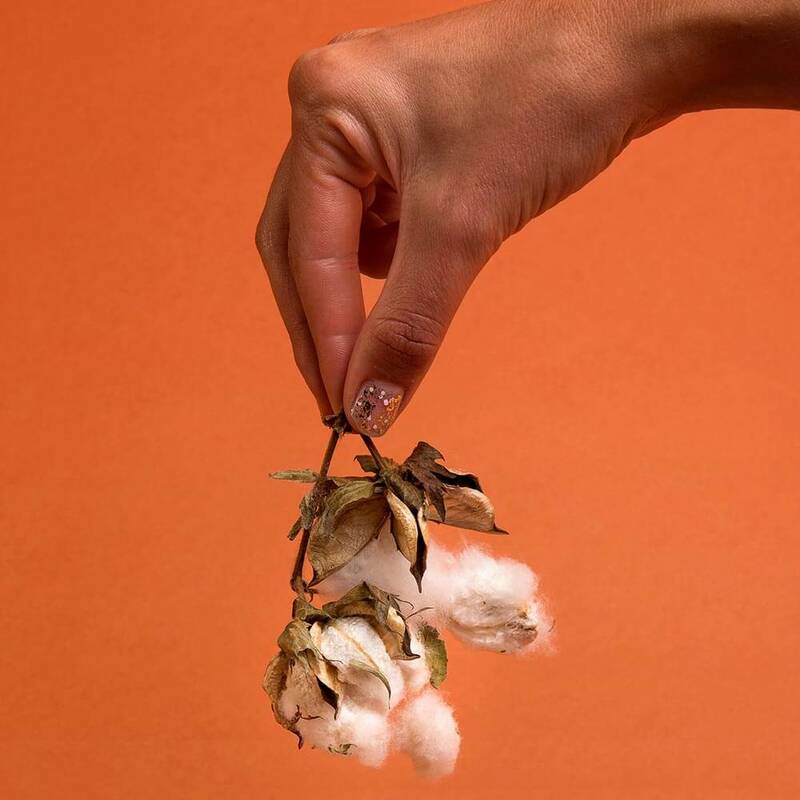 When it comes to wellness and natural, organic product alternatives to everyday essentials, it’s safe to say we know what we’re talking about. And, yeah, we think this stuff is pretty bloody incredible. Oh, and babe? It’s not weed. With less than 0.02% THC, it wont get you high. So next time you need a little extra love while you’re on your period, Anti-Teardrops has got your back as an all-natural, totally legal, and non-psychoactive alternative to pain relief medication.